In the human body‚ muscles use glucose—a type of carbohydrate—as their primary source of energy. When there’s an increase in glucose demand due to physical activity or if glucose levels are low‚ muscles are forced to consume other compounds‚ such as amino acids and fatty acids‚ instead. It facilitates the transport of fatty acids across mitochondrial membranes‚ the cellular organelles responsible for energy production. It assists in the oxidation of some amino acids and ketones‚ which are byproducts produced by the breakdown of fats. 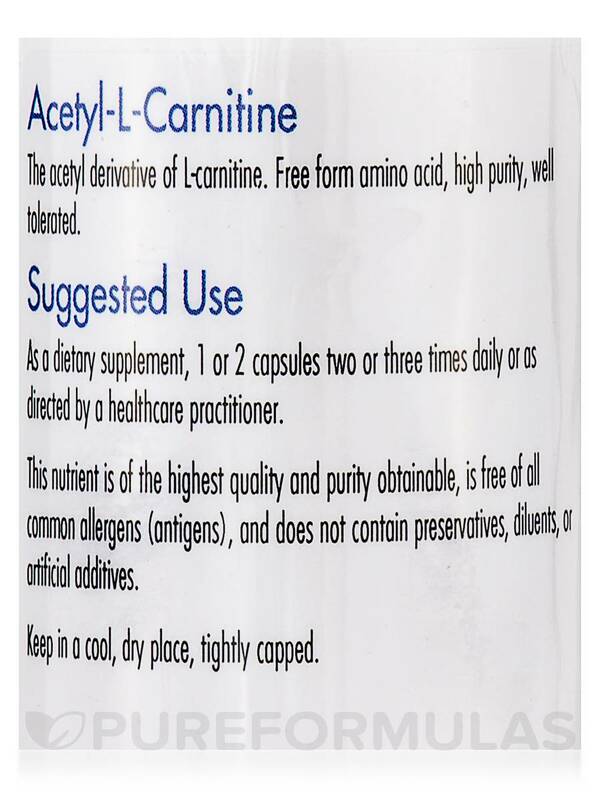 Acetyl-L-Carnitine can improve the efficiency of energy production within your heart and other muscle tissues. Likewise‚ it has been shown that L-Carnitine can support cardiovascular health while increasing the activity of coenzyme Q10 and glutathione‚ two major antioxidants. 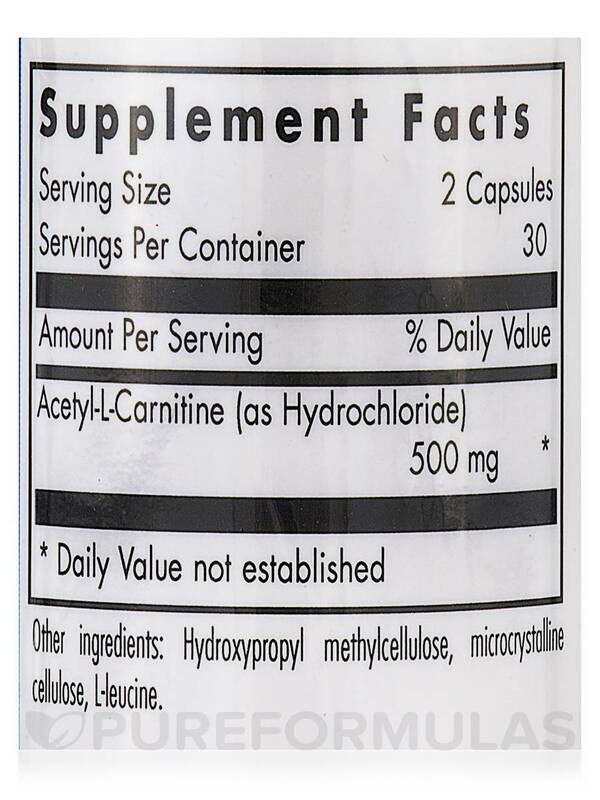 Since Acetyl-L-Carnitine can readily cross the blood-brain barrier‚ it’s also a helpful protector of nerve cells. Even though your body can synthesize L-Carnitine‚ people who suffer from renal diseases‚ as well as vegetarians and vegans who avoid meat and dairy products‚ can experience symptoms of mild L-Carnitine deficiency. Low levels of Acetyl-L-Carnitine may cause muscle weakness‚ lower energy levels‚ elevated levels of blood lipids (fats)‚ and impaired glucose control. 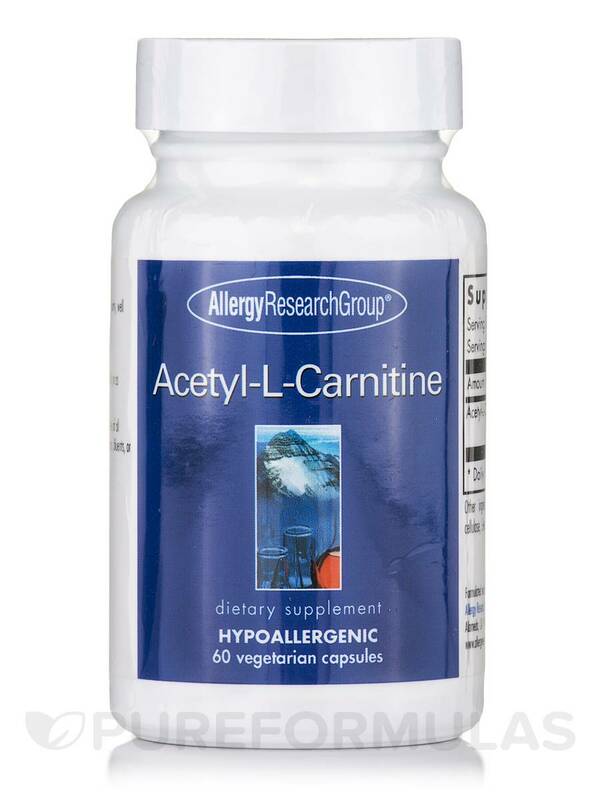 Fortunately‚ Acetyl-L-Carnitine by Allergy Research Group can help. 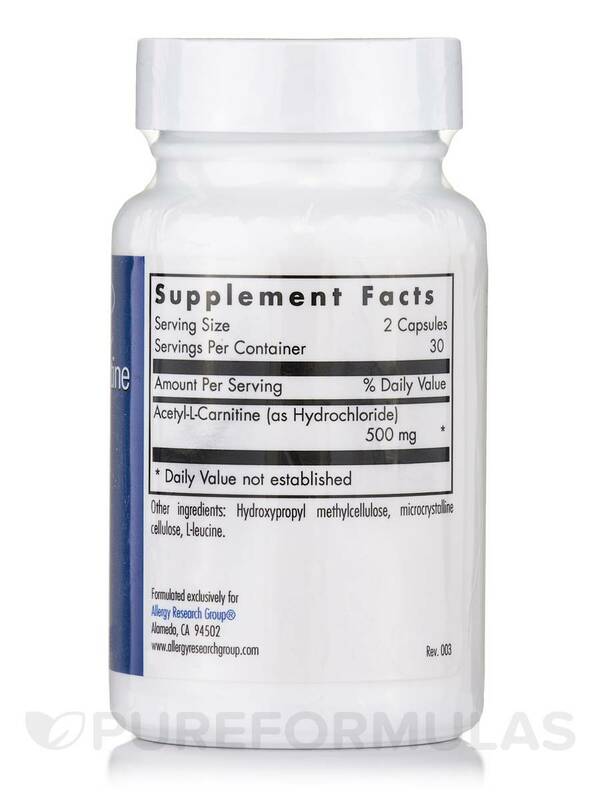 Every capsule provides 250 mg of Acetyl-L-Carnitine. This supplement is high-quality and free of allergens‚ diluents‚ and additives. 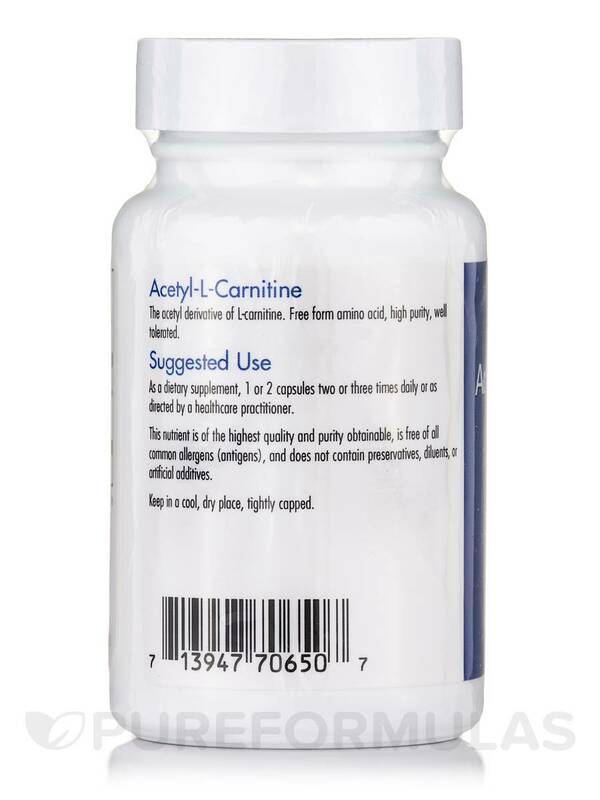 A bottle of Allergy Research Group’s Acetyl-L-Carnitine contains a 15-day supply when taken at the recommended dosage of two capsules‚ twice a day. You can take this supplement up to three times daily.